By popular demand, we have expanded our selection of shoes available in smaller sizes. 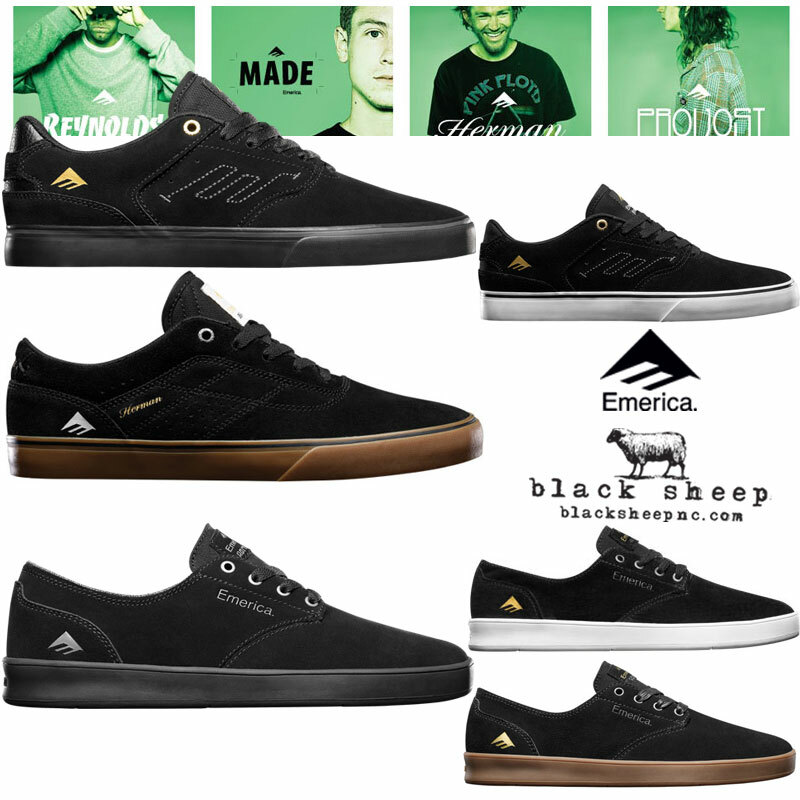 We’re now stocking some of our top selling styles and colors from the most popular brands, including Emerica (Reynolds 3, Reynolds Cruisers, B. Herman 2), Lakai (Manchester), Fallen (Ripper and Chief Mid), Nike SB (Dunk Low, Dunk High, Blazer, Stefan Janoski), Vans (Authentics), and Supra (TK Society) in smaller sizes. Now available in men’s size 6 and up. Black Sheep is for the Kids! The latest Signature Model from Emerica Footwear, The Figueroa (Black/White) “Figgy” is now available in-store and online. Equipped with a newly designed internal fit system for secure fit. 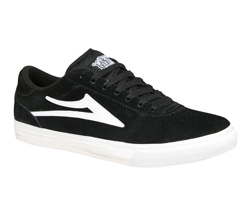 Suede upper with thin build to promote airflow, one-piece toe and double-stitched ollie area to help prevent blowouts, high-rebound EVA foam midsole for support and comfort. Only $59.95 ready to shred. Click the photo above to take a closer look or purchase online. The Reynolds Vulc Low from Emerica restocked in store and online in three banging color ways made to shred: Black/ Black, Black/ White, and Grey/ Gum. Fit for a boss! Click the photo above to take a closer look or purchase. 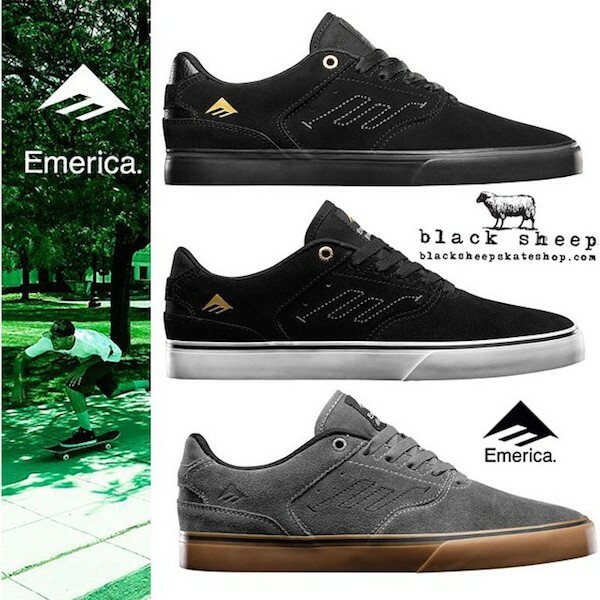 Great new arrivals from Emerica Footwear now available in-store and online including the new Andrew Reynolds Vulc Low (Black/Black), restock Reynolds Vulc Low (Black/White), Bryan Herman G6 Vulc (Black/Gum), and Leo Romero Laced (Black/Gum), Leo Romero Laced (Black/White) plus new Leo Romero Laced (Black/Black). Ready to shred right out of the box! 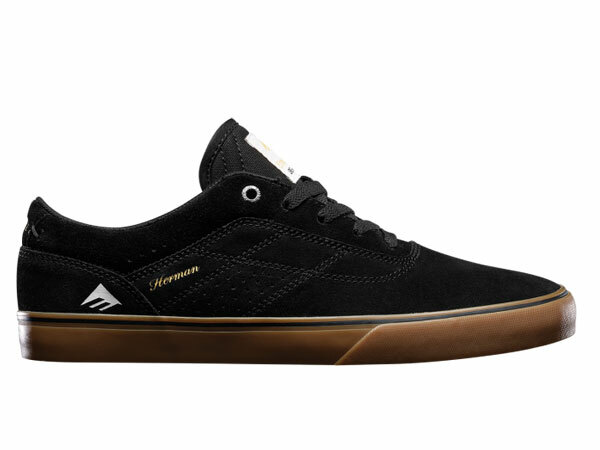 Emerica footwear Andrew Reynolds signature model. Features thin tongue and collar for slim low profile fit and more comfort. Focusing even more on board feel with its low profile control, the Reynolds Low Vulc is constructed with the Emerica Triangle Tread™ Pattern and proven one-piece toe panel that counteracts blowouts in the ollie area, as well as a full-length Ortholite™ footbed. 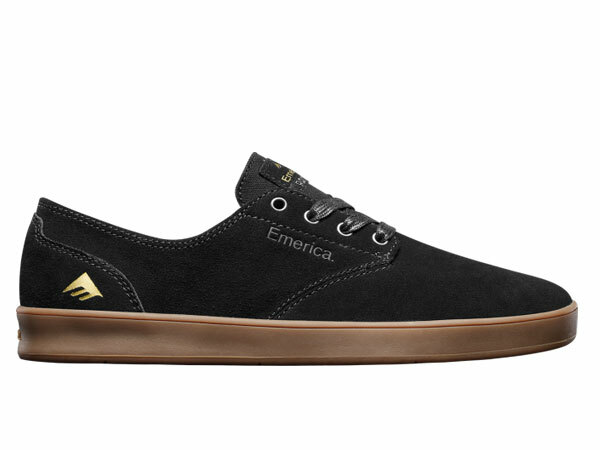 Emerica footwear Bryan Herman signature model. Features G6™ in-sole technology with high-rebound lightweight cushion foam insole, and stabilizing support carriage. It is also equipped with dropped-to-the-floor (DTTF) construction for improved board feel and a Vulcanized Gum Rubber outsole, with the Emerica Triangle Tread™. Keeping with tradition, this G6 Vulc utilizes Herman’s signature Heritage in the design, as well as its one-piece toe panel to avoid blowouts in the ollie area. 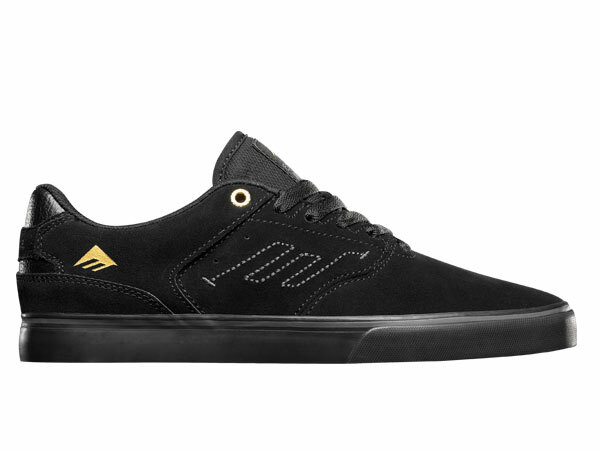 Emerica footwear Leo Romero signature model. 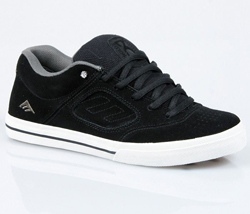 Designed, tested, and 100% skateboarding approved by Emerica pro Leo Romero, updated version of Emerica clasic Laced with low profile cupsole for increased baordfeel, Emerica Triangle Tread pattern with high-density rubber heel drag pod for maximum grip and durability, and a tongue stabilizing wing for a snug fit. More Emerica styles available! Stop by the shop or purchase directly from our online store. View the entire collection. Order online for fast shipping with the same great service, and now offering FREE SHIPPING on all order over $79* — simply select UPS Ground as your method of shipping and the discount will automatically apply or use promo code FREE79 at checkout.